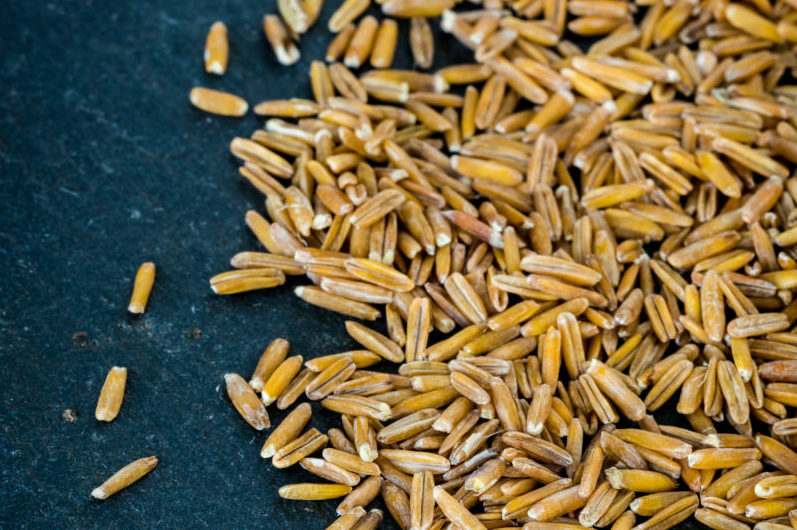 Kernza is the product of many years of research and development by the Land Institute, a Kansas-based nonprofit founded by Wes Jackson and devoted to the advancement of perennial grains and regenerative agricultural practices. 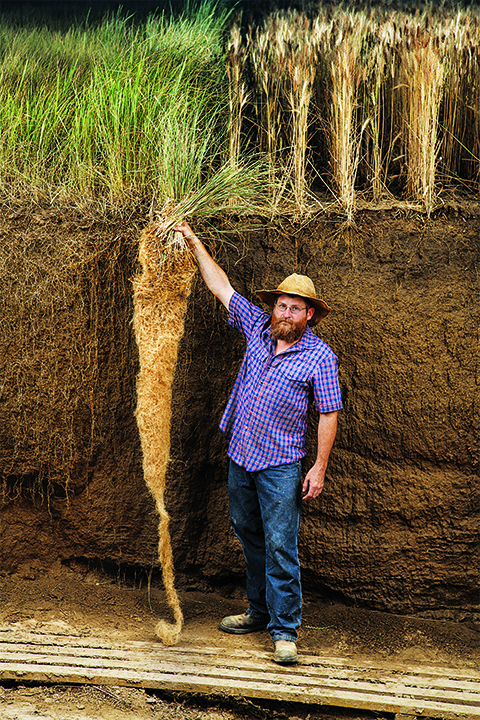 Due to its unusually long roots, the grain uses less than half the amount of water than annual wheat crops do, and these roots help pull carbon dioxide out of the atmosphere and lock it in the soil. In addition, Kernza thrives without chemical fertilizers or pesticides, which can be harmful to soil and exacerbate erosion. Patagonia’s new food division, Patagonia Provisions, brought its first food product—a sustainable, shelf-stable smoked salmon—to market in 2013. 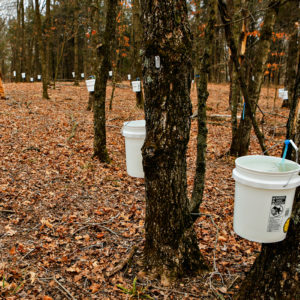 It has since released multiple products, including pasture-raised buffalo jerky and several dried soup mixes. Birgit Cameron, senior director of Patagonia Provisions, says that company started working with Jackson and the Land Institute four years ago to develop a commercial product made with Kernza. The organization, which considers the grain a work-in-progress, had dabbled in making a beer with grains like Kernza, and Cameron says, “it was clear to me that we could do something [to] help Wes Jackson’s efforts to get it out there sooner than he thought.” She points to the fact that the effort has been the Jackson’s “ongoing life’s work” and she’s excited to see Long Root Ale show up on the market shortly after the his eightieth birthday. 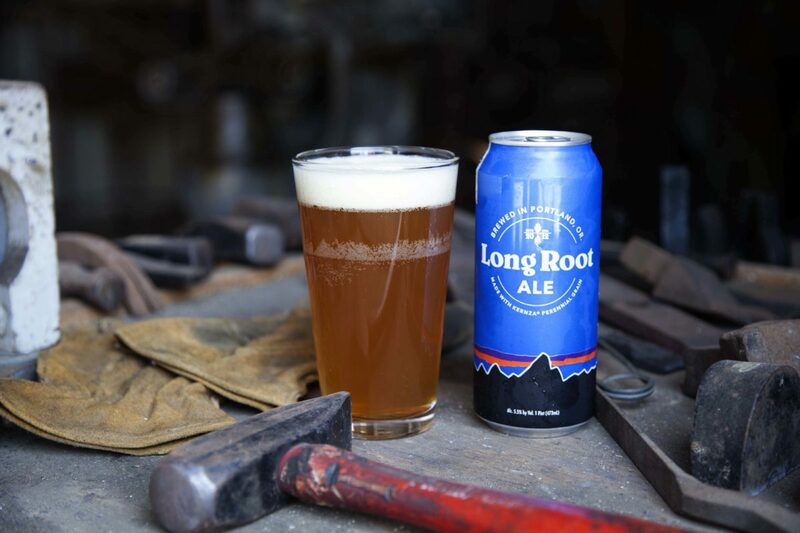 One of Patagonia Provisions’ major contributions toward bringing Long Root Ale to market was getting the grain recognized by the U.S. Food and Drug Administration (FDA) as “Generally Recognized As Safe,” or GRAS. The effort cost the company about $50,000, Cameron said. Once the grain was FDA-approved an an ingredient, it was time to find Kernza a brewery. Portland, Oregon-based Hopworks Urban Brewery stood out as an ideal candidate, not only as a cultural match, but also as a certified B Corporation, a company on the board of Salmon Safe, and one recently accepted as a member of One Percent for the Planet. “It wasn’t a foreign discussion for us,” said Christian Ettinger, founder and brewmaster. He launched Hopworks with his wife in 2008 with the intention to incorporate sustainable brewing practices, organic craft beer recipes, and his interest in ancient grains. One of the brewery’s first beers was called Survival Stout, and featured seven different grains, including Amaranth, quinoa, spelt, and kamut. “We’re using beer as a force for good. Beer is really responsible for civilization…[so] it’s such a great landing place for us to focus on sustainability,” Ettinger said. “Beer has such a history at the table … It’s such a communal product,” added Cameron. “Particularly recently, with the craft beer movement.” Indeed, as of June 2016, a record high of more than 4,600 breweries were operating in the U.S., according to the Brewers Association. 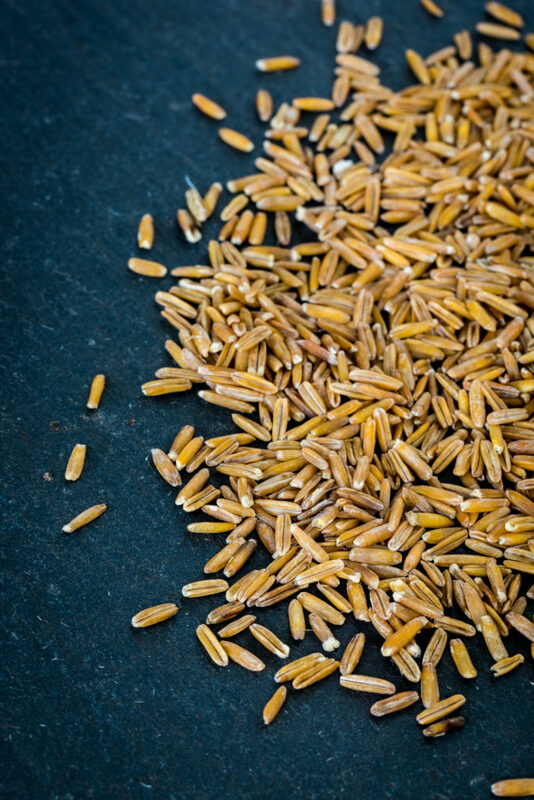 One challenge has been Kernza’s “odd, pencil-like” shape, which is not suitable for conventional processing equipment and has so far been impossible to malt. “If we can get it malted, the possibilities are endless,” Ettinger said. Patagonia Provisions is currently working with Skagit Valley Malting, a “micro-malting” facility in Burlington, Washington, to develop a technique that can accommodate Kernza’s size. According to Cameron, Patagonia Provisions is also investing in infrastructure that will incentivize farmers to grow and process Kernza in exchange for a premium price. For example, a mill available to farmers who are interested in growing Kernza would allow farmers to process the grain in close proximity to their farms, and are assured that there is somewhere for it to go, she said. 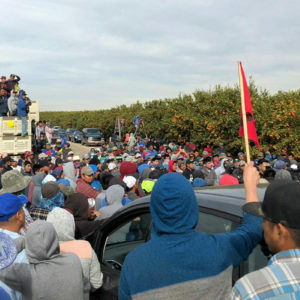 “If we bring back some of the infrastructure we’ve lost to handle these alternative grains, that can bring back economic diversity … the farmer needs to know they’re going to have a place for it and that their costs are covered,” she said. In the meantime, Long Root Ale will be available in four-packs of 16 oz. cans in 108 Whole Foods locations throughout Oregon, Washington, and California. Hopworks Urban Brewery has a production goal of 6,000 cases (of 24 cans) for the first 12 months. 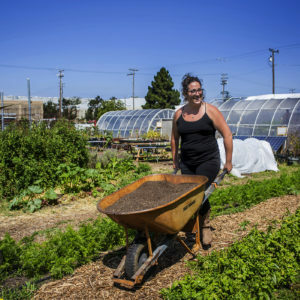 It will also be on draft at select locations, including the Perennial, a sustainability-focused San Francisco restaurant that also serves bread made with Kernza and has been a major supporter of the Land Institute’s efforts. In addition to Hopworks, Patagonia Provisions hopes to partner with either a larger brewery on the West Coast, or another mid-size brewer on the East Coast. “Kernza at this stage is really conducive to making beer. If the bigger players come out with a beer that incorporated Kernza—and if even a small percentage [of farmers] turned to perennial agriculture—that would be a huge win,” Cameron said. Photos, from top: Long Root Ale (photo by Amy Kumler), Kernza is a perennial grain that grows very long roots (photo by Jim Richardson), Kernza’s “odd, pencil-like” shape (courtesy of Patagonia Provisions). Janine and I just returned from the Land Institute's Prairie Festival at which it was announced that Kernza beer will be distributed more widely. Good news! Janine was an intern in 1984, and we've kept in touch since then. Thanks for fill in some of the details!